The Mendelsohns were surrounded by close family at Steven’s cruise ship bar mitzvah. When thinking about a bar mitzvah, everyone pictures something different in their minds. Some think of the DJ, some picture the venue, others think of the Torah service and the emotional speeches. And for the most part, these weekly simchas only vary in minimal ways. However, there are those who really think out of the box when trying to create a memorable and meaningful event. Cara and Barry Mendelsohn did just that. Over the past seven years, the Mendelsohns have celebrated the bar mitzvahs of their three sons, and not one event looked like another. As their oldest son, Michael, approached bar mitzvah age, Cara and Barry began thinking about the most meaningful way to mark their son’s becoming an adult. Going into the planning process, the Mendelsohns were expecting a more traditional event. They weren’t thinking about doing anything unique, and a traditional bar mitzvah suited their oldest son better than anything else. They hosted a service at Temple Shalom, where Michael led both the Torah service and all the prayers. Later, the Mendelsohn family celebrated with a party, complete with a custom monogram, personalized kippahs and a DJ. Michael had a very positive and meaningful experience at his bar mitzvah. He remembers how impactful it was that all of his teachers and friends were there to celebrate with him. 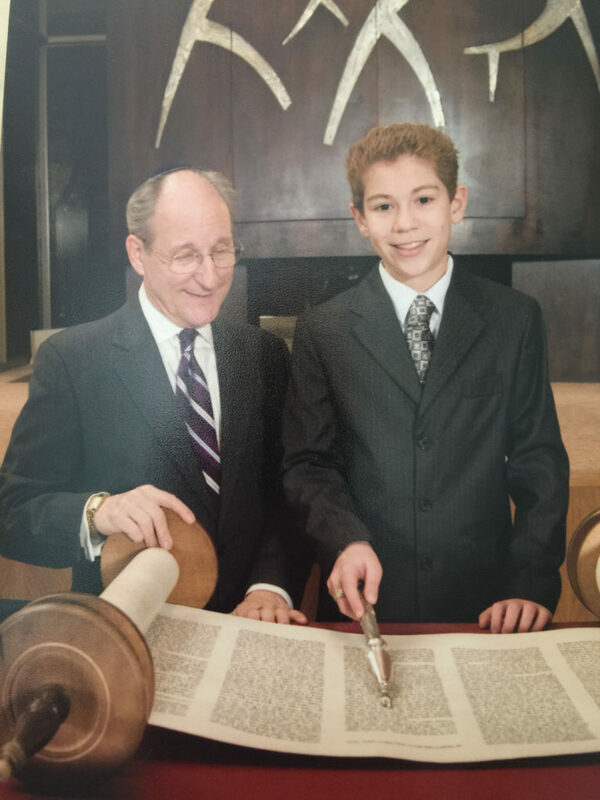 The following year, the Mendelsohns’ middle son, Robert, approached his bar mitzvah. When his parents began the discussion about how he wanted to celebrate his bar mitzvah, Robert was very certain about what he wanted. Listening to the requests of their son and molding the event after his personality, the Mendelsohns knew that Michael did not really want the big party and wasn’t interested in the attention being on him. “He wanted it to be much more about his relationship with Judaism and Israel, and so it just made sense to be in Israel to do that,” Cara said. Contrary to the standard bar mitzvah his brother had, Robert received tapes in the mail from a rabbi thousands of miles away whom he had never met. He learned the prayers and songs in preparation for the big day and met the rabbi upon arrival in Israel. The family’s experiences were meaningful in ways unique to Israel. The original singer of Yerushalayim Shel Zahav, Shuli Natan, sang at the reception, which the family recalls as a very cool experience. However, the service at the Western Wall was the most meaningful memory. “But really (the most meaningful part of the bar mitzvah) was standing where you know so many people have stood before (with) that same expression of their love of Judaism. It was very powerful,” Cara Mendelsohn said. 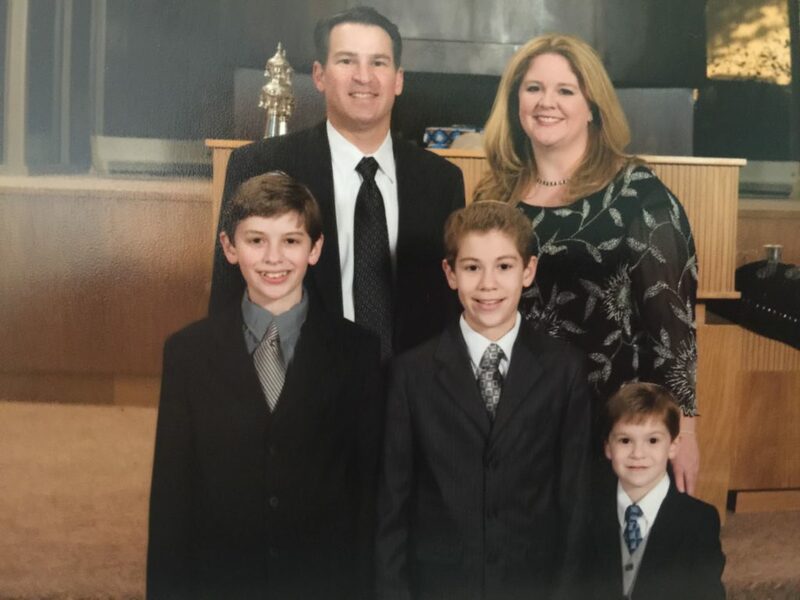 Last year, the Mendelsohns began the same planning process they had twice before, as their youngest son, Steven, began thinking about his bar mitzvah. However, Steven was not interested in a traditional service and big party, nor was he interested in flying to Israel to celebrate in the Holy Land. All he knew was that he wanted to do something different surrounded by his family. So the Mendelsohns decided to celebrate the coming-of-age of their youngest son on a cruise ship. The family found that the last bar mitzvah was the most personalized out of all three. The Mendelsohns asked their family rabbi of more than 20 years, Rabbi Jeffrey Leynor, to accompany them on the cruise ship and help make the experience meaningful. Leynor had never been on a cruise ship and quickly agreed to join. “Rabbi Leynor came to our home and he personally tutored Steven, not just on prayers but also on the real meaning of his portion (and) the real meaning of being a man, his duty and obligation in Judaism and how to express that as part of his life,” Cara said. 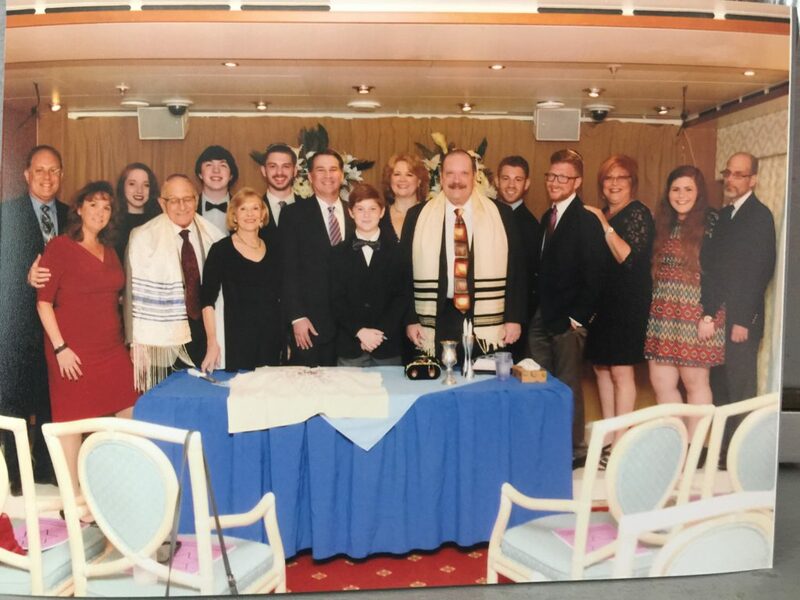 The cruise ship staff helped the Mendelsohns make their bar mitzvah a beautiful experience. They prepared three challahs for the family and allowed them to use the chapel. A ship photographer joined, and though she was originally meant to stay for only the beginning of the celebration, she ended up remaining with the family well into the night, completely mesmerized by the bar mitzvah ceremony. Though the three events were vastly different, they all shared similarities. The theme of connection laid the foundation for the three celebrations. The first bar mitzvah emphasized connection with community, the second focused on connection with a place, and the third was centered around connecting with family. Additionally, all three simchas were similar in the sense that they were meaningful experiences for all involved. Cara and Barry caution that going to Israel isn’t much different financially than throwing a big party. However, all three types of events require a lot of planning. “It’s a very different kind of planning when you’re dealing with a caterer, DJ (and) hotel in your own city than it is planning in Israel or planning on a cruise ship. Different events require different activities,” Cara Mendelsohn advised. They also emphasized the importance of picking the bar mitzvah experience that’s right for your child. “When you’re thinking about the bar mitzvahs, really talk to your child to make the bar mitzvah or bat mitzvah what is going to be meaningful for them. Put aside your own community expectations or anything else like that, and do what’s right for your child because it’s really about them,” Cara said. Barry Mendelsohn suggests watching Keeping Up with the Steins and Bar Mitzvah Boy, two very different movies about the bar mitzvah experience, before beginning to plan. “It’s a great way to start the conversation about what you want the bar mitzvah to mean to you and your family, and then the planning can begin,” Barry said. 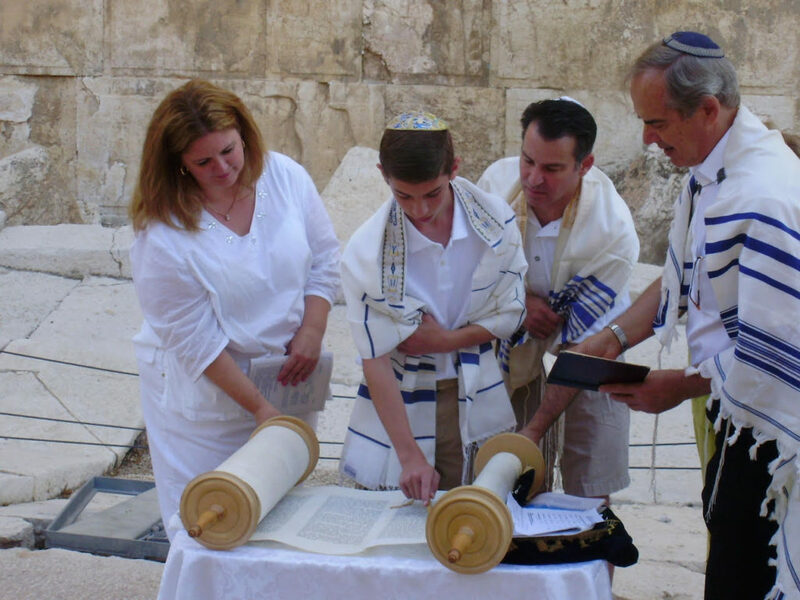 The main lesson the Mendelsohns learned from the diverse bar mitzvahs of their three sons is the importance of tailoring the experience to the child. SARASOTA — Exactly two weeks ago, July 14, the world hardly noticed that a year had gone by since the announcement that the P5+1 negotiation team (USA, Great Britain, Russia, China, France and Germany) had reached a “deal” with Iran. The agreement is not, and never will be, signed. This is why the U.S. rushed to get it “approved” by the United Nations Security Council, thus giving a purely verbal “understanding” some pretense of legitimacy. The promise of “robust anytime, anywhere inspections” is gone. Iran keeps its already enriched stockpiles and bomb parts. All military facilities, including the trigger and bomb-assembly plant in Parchin, are off limits to the IAEA (International Atomic Energy Agency). All facilities are off limits to Americans. All centrifuges remain intact though a few thousand will be temporarily unplugged. But the most shocking revelation was that Kerry apparently accepted the Iranian negotiators’ “solemn word and guarantee” that Iran: “Never had in the past, does not have in the present, or plans to have in the future … any nuclear weapons development or acquisition plan.” Seriously? The whole unsigned verbal agreement is based on the “solemn word” of the Iranians? As the Iranian leadership ecstatically tells mass rallies that chant “death to America and Israel,” just how easily they led on and hoodwinked a naïve president who was so desperate for a deal at any cost that he gave them everything they wanted without them conceding anything, regional leaders are listening with growing contempt, mistrust and lack of respect for the U.S.
Today, one year after the much-heralded, and still unsigned, so-called “Iran Nuke Deal” was announced, the U.N.’s IAEA and the intelligence agencies of the P5+1 countries admit that they have no knowledge as to what nuclear weapons development Iran did in the past (which it is obligated to disclose), nor what it has today or what it’s secretly working on. Despite getting almost full sanctions relief, Iran has violated the JCPOA (and U.N. Security Council resolutions) several times. Its leaders still demonize the West, vow to destroy Israel within the year and are building and testing long-range nuke bomb delivery systems with impunity. The head of Iran’s nuclear program announced last week the installation of cascades of the latest “Generation 5” ultra-fast centrifuges. Meanwhile the U.S., the “guarantor” of Iranian compliance to the JCPOA, is seen by the Sunni Gulf States (and many Israelis) as being either afraid to confront Iran (which would expose the bluff of the “deal”), or worse, being in bed with the Iranians from the outset. Iran is not significantly farther from the “breakout” time frame that former IAEA chief nuclear inspector David Albright determined a year and a half ago — three to six months from decision to bomb. With the new centrifuges that time frame will be shortened considerably. Iran is expanding its military capabilities in preparation for war against Saudi Arabia, Turkey … or both. One of the unfortunate consequences of the failed coup in Turkey is the publication of the fact that 90 B-61 thermonuclear bombs are stored in Turkey at the Incirlik Air Base, 40 of which are allocated for use by the Turkish Air Force. With the Sunni Turks and Shiite Iranians natural and historic enemies, that are currently fighting on opposite sides in Syria, the fact that this “deal” did not eliminate the Iranian nuclear program just adds to the regional instability. Contrary to its obligations in the JCPOA, Iran continues to support Islamist terrorism around the world. Iran continues to threaten Israel with imminent annihilation. And finally, together with America’s shamefully reneged “red line” threat in Syria and its failure to fulfill promises to “degrade and destroy” ISIS and al-Qaida (which is now stronger than ever after bin Laden’s demise), this “deal” has contributed greatly to the deterioration of America’s image, prestige and respect in the Middle East. Over the past year, Iranian leaders, artists, teachers and entertainers have been mocking American negotiation “skills,” while Sunni Arab leaders and opinion makers have been openly calling for stronger ties to Russia, China, Japan, India and even Israel … because the U.S. can’t be trusted to fulfill its promises or commitments … ouch! Bottom line: The JCPA, the Iran Nuke Deal, which is still unsigned, was a bad deal then, and is a bad deal now, one year later. DISCLAIMER: Opinions are the writer’s, and do not represent SWJC directors, officers or members. For each mishnah, the one who spoke is named. Why is it important to know who said something? I always felt this was how copyright laws came about — we must give credit to the one who first spoke. Amazing that it started in the Talmud. Hillel gave us so many important lessons and on first reading, they seem simple but we must continue to look deeper and then apply the lessons to our lives. Judaism believes being part of community is very important. What are the different communities that you belong to? How are they different and how are they the same? Why should we not separate ourselves from our community? What are the ways that people separate themselves? Last week we talked about judging others. It is something we do all the time but not always the right way. Now Hillel is telling us not to judge someone until we have been in their place. What does it mean to be in someone’s place? What if we have not been in their place — should we not judge them? Why or why not? Study is a very important value in Jewish life. We are to study every day of our lives. Many of us feel we have studied enough once we finish school. Why do we need to keep learning? What are ways that adults keep learning? What if you are busy — why can’t you study later? Why won’t you have time later? Why are these three thoughts put together here by Hillel? Try to imagine a person who leaves the community, judges others and never studies. What kind of person is that? Why would this person be a problem? How can we apply this mishnah to our lives every day? Shalom …from the Shabbat Lady. “(He) was a powerful storyteller who brought to life the experience of the Holocaust for millions of people all over the world,” began a statement from the Jewish Council for Public Affairs. Most of us, like the trio above, know of Wiesel first and best for his book Night, which made a classic of his own horrific history. But Wiesel was not a born writer. Formal obituaries mentioned his friendship with France’s great author Francois Mauriac, but did not stress its seminal importance: This was the man who broke Wiesel’s silence, the 10-year post-Holocaust sentence he’d imposed upon himself, and turned him into one. An Interview Unlike Any Other in A Jew Today, a lesser-known collection of Wiesel’s short writings, tells the important story. After the Shoah, “So heavy was my anguish that I made a vow not to speak (until) long enough to unite the language of man with the silence of the dead,” he wrote. But in 1954, as Paris contributor to an Israeli newspaper, he was assigned to interview France’s Jewish Prime Minister Pierre Mendes-France, who rarely granted interviews. At an Israel embassy event, Wiesel spotted Mauriac, the much-honored author he knew Mendes-France admired, and had an idea: Score an interview with the former, and during it, ask him to put in a good word for an interview with the latter. The tactic worked, but it made Wiesel feel like an impostor, since he had no intention of asking the great novelist anything about his writing. And Wiesel was intimidated: Mauriac was old, rich and Catholic; he was young, poor and Jewish. Then Wiesel got up to leave, but Mauriac stopped him, and began to cry, and asked the young Jew to continue speaking. “He questioned me, and I answered: ‘Yes, I lived through those events. Yes, I was present at the end of the world.’” Mauriac wanted to know why Wiesel hadn’t written about it; when he explained his vow, the great writer said, “I think you are wrong not to speak out. Listen to the old man I am: One must speak out…” It was one year later that Elie Wiesel sent Francois Mauriac the manuscript of Night. And the rest, as many say about many things, is — here — truly history. Many have read Night, but too few have read about how it came to be, to know the start of so much that followed it. Mauriac had received the Nobel Peace Prize two years before this interview. His words first angered, then inspired Wiesel to speak out; he received the same honor himself, 32 years after it. 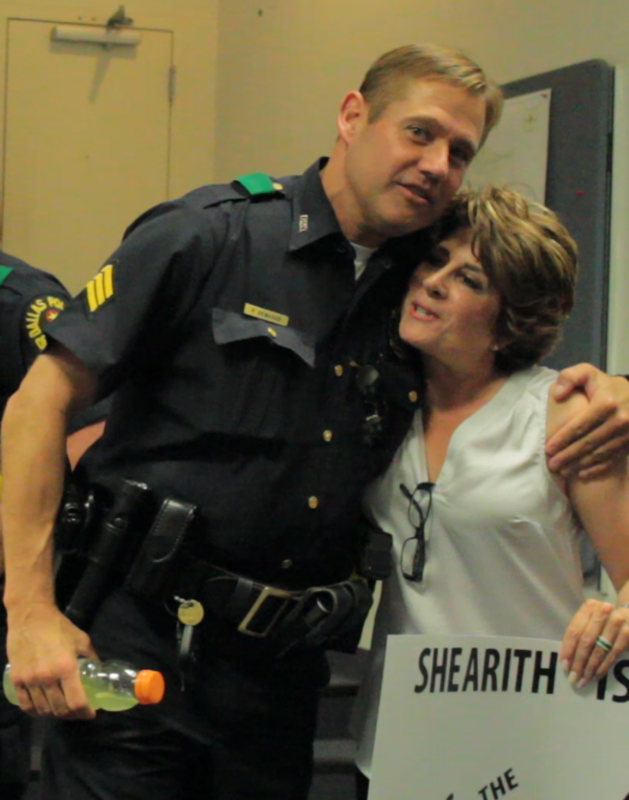 A Dallas police officer hugs Congregation Shearith Israel President Gail Mizrahi. North Central Deputy Chief Rick Watson (left) and Ohr HaTorah Rabbi Aryeh Feigenbaum. 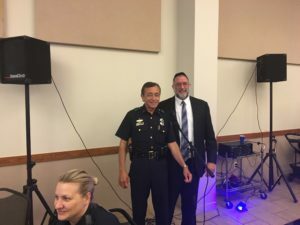 On July 20, Congregations Ohr HaTorah, Ohev Shalom, Sephardic Torah Center of Dallas, Shaare Tefilla, and Toras Chaim along with Dallas Kosher, DATA, DATA of Plano, and Simcha Kosher Catering served an Italian kosher dinner to raise funds for police officers. Corporate sponsors included Fresh Point Dallas, Gourmet Foods International, Jones Neitzel, Tom Thumb, and US Foods. About 400 people attended, including 15 police and fire officers. “You are our energy pill,” North Central Deputy Chief Rick Watson said. Almost $6,000 was raised for the families of fallen officers and families of wounded officers, and to help active-duty officers that have suffered trauma from the shooting earlier this month. On July 22, Congregation Shearith Israel cooked up 10 briskets, 10 chickens, eight kugels, six salads, vegetable side dishes and casseroles, nine loaves of challah and countless challah rolls, homemade desserts, an award-winning chili and so much more! It was enough to feed more than 100 Dallas police officers and to make any Jewish mother proud. Feed the Blue, Congregation Shearith Israel’s erev Shabbat outreach to the Dallas Police department, was literally met with open arms last week as about 75 members of Congregation Shearith Israel brought Shabbat dinner to the North Central police station at McCallum and Hillcrest in Far North Dallas. 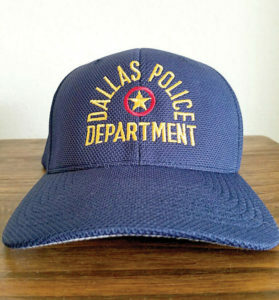 In support of the Dallas Police Department, Team Dallas baseball players will don these caps when they take the field next week at the St. Louis Maccabi Games. Could you please explain what is a pindon haven? My nephew, who has become religious, is having one for his son and invited us, and I’d like to know ahead of time what is coming but I was embarrassed to ask him directly. What you are referring to is a Pidyon Haben, or “redemption of the firstborn,” which is a ceremony performed upon a firstborn son. It is performed on his 31st day, about 3½ weeks after the bris. This is a very special mitzvah for me, as my son in Jerusalem recently performed this ceremony upon his son, the elder of twin boys! This ceremony is the fulfillment of a mitzvah in the Torah, “Every issue of a womb of any flesh that they offer to Hashem … but you shall surely redeem the firstborn of man…Those that are to be redeemed, from one month shall you redeem … five silver shekels by the sacred shekel…” (Numbers 18:15-16). What is done, in a nutshell, is the following. Usually it begins with a meal, with everyone washing for bread. (Already sounds very Jewish!) This meal, besides family and friends, is attended by an observant Cohen, or a man from the tribe of Jewish priests. The star of the show, the baby, is brought out. Traditionally, in honor of the mitzvah, the baby is wearing special white clothing. He is brought in on a silver platter, decked out with sugar cubes and cloves of garlic, which are signs of blessing. The Torah says that the father “redeems” his firstborn son by giving the five silver shekels mentioned above to the Cohen. The coins are given over after a “discussion” between the father and the Cohen, where the father tells the Cohen he would like to redeem his son. A blessing is recited by the father and the coins given over to the Cohen, whereupon the Cohen puts his hands upon the baby and blesses him with the traditional priestly blessing, and then drinks from a cup of wine. After that, mazal tovs are in order, and, of course, the meal continues! By the way, this is not just any Jewish meal; the Talmud says that the merit is so great in partaking of that meal that it carries the merit of fasting 84 fasts (for one who potentially would have needed to fast for his or her sins)! A bit of insight. The Torah says that the firstborn son is considered sanctified from birth (Exodus 13:2). It was originally ordained that the firstborn would perform the Temple services and would be the holy emissaries of God. This was lost at the time of the sin of the Golden Calf, where many firstborn were implicated along with the rest of the Jewish people. Only the Levite tribe, of which the Cohanim were members, were free of any association with the Golden Calf. God then transferred the Temple service to the Cohanim in place of the firstborn, and the remainder of the tribe of Levi were also given many Temple responsibilities. Since the firstborn was originally intended to be the messenger of God and still retains some of that holiness (indeed it is said that in the future Messianic time the firstborn will return to their original intention), it is incumbent upon us to “redeem” that holiness upon the silver coins and present them to the Cohen. There are many deeper and profound messages within this mitzvah which are out of the purview of this column (since we’re out of room! ), but I hope this helps, and mazal tov on your great-nephew! The most fun part of studying Pirke Avot is that each mishnah has different parts that, on first look, seem not to be connected. Our challenge, and the fun of studying, is figuring out what makes the different pieces connect. What do they teach us in combination? There are three important parts of this mishnah. Each part should be studied alone and then figure out how the parts fit together. Think about the fitting together as you start with the parts. Do we need a teacher? What for? Who should be our teacher? Why does it say to make a teacher for yourself? Could you just look for a teacher that could teach you what you need to know? How do you make a teacher? Next we are to “acquire” a friend. What does it mean to acquire a friend? How do we get friends? The literal translation of the mishnah is to “buy” a friend. What do you think of that? Should we buy friends? Why would the sages tell us to buy a friend? What do we need to do to be a friend? Why do we need friends? The Hebrew word for friend is chaver, which means to connect or to bind together. What does it take to connect things or to bind things together? How is that a lesson for making a friend? What does it mean to be a judge? How do we judge people? What does it mean to judge everyone favorably? Why is that important to do? Is it easy or difficult to judge people favorably? Why? Now, how do these three pieces come together? What does having a teacher and a friend have to do with judging others? Laura Seymour is director of Camping Services at the Aaron Family Jewish Community Center in Dallas. On Aug. 17, Daytimers will ride nonstop to the Perot Museum of Nature and Science. The bus will depart from Congregation Beth-El promptly at 10 a.m. and should arrive at the museum about 11:15 a.m.
Everyone will head home from the Perot at 2:30 p.m. The cost for the trip on the bus and museum admission is $20. A minimum of 24 paid reservations by July 25 is needed for the trip to “make.” The maximum capacity is 44. Once that list is complete, no others will be added. There is a Wolfgang Puck Cafe at the museum where you can grab a bite to eat. Please call Larry Steckler ASAP for reservations or more information at 817-927-2736. Leave a brief message and your phone number if you get his answering machine. To research or preview the museum, visit www.perotmuseum.org/. Mazal tov to Aaron S. Moses who has joined the Fort Worth law firm of Moses, Palmer & Howell, L.L.P. in an of counsel capacity. His practice will focus primarily on the areas of oil and gas and real estate law. 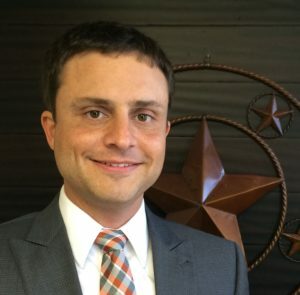 Aaron has over six years of oil and gas title and transactional experience, having prepared acquisition, drilling and division order title opinions covering lands located throughout Texas, including the Permian Basin, Eagle Ford Shale and Barnett Shale. He has managed title attorneys located throughout the United States and assisted in litigation matters concerning oil and gas title issues, deed and lease interpretations, and purchase and sale agreements. Moses earned his J.D. from Southern Methodist University-Dedman School of Law in 2006 and his B.A. in psychology from the University of Texas at Austin in 2002. He has been board certified in oil, gas and mineral law by the Texas Board of Legal Specialization since 2014. Aaron is married to Lauren and they are the parents of Elizabeth, 8, and Holden, almost 2. He is the son of Rochelle and Buddy Moses. — Submitted by Moses, Palmer & Howell, L.L.P. The Dallas Jewish community continues to take a leadership role in supporting the Dallas Police Department in the wake of the tragic July 7 shooting and loss of four Dallas police officers and one DART officer. The Jewish Federation of Greater Dallas is accepting donations for the Assist Officer Foundation. One hundred percent of all donations will be passed directly on to the fund. To donate, visit http://bit.ly/2adIeI3. Members of the Temple Shalom Adult Choir participated in the Dallas Sings/Dallas Strong free concert held at the Meyerson Thursday, July 14, along with 600 or so singers from other choirs around town, including the Dallas Street Choir. The concert honored and mourned the deaths of the five Dallas and DART officers who were murdered the week before. The Dallas Sings/Dallas Strong event was created and led by Jonathan Palant, Temple Shalom’s choir director. Temple Shalom’s Rabbi Andrew Paley also spoke at the event. On July 15, Temple Emanu-El Sisterhood (aka Women of Reform Judaism) served lunch for 40 officers at the North Central Dallas Station at Hillcrest and McCallum following the noon funeral of officer Michael Smith. With 12 hours’ notice, 10 women pitched in to serve brisket sandwiches, slaw, potato salad, fruit, dessert and soft drinks. On July 22, Congregation Shearith Israel will deliver a traditional Shabbat meal for 100-plus officers at the North Central Dallas Station at McCallum and Hillcrest. Within 30 minutes of the call to action to “Feed the Blue,” every slot was filled. On Aug. 14, 2015, the lives of the Goldminz family were changed forever. Minna and Mitch Goldminz’s 8½-year-old grandson, Zachary (son of Pam and Jonathan Goldminz, and brother of Hailey) complained of pain in his right knee, after a counselor at camp fell on it. Zachary was seen by an orthopedist, who placed him in a knee brace. Young Zachary continued to complain of the pain, which became worse. His parents took him to the ER and the family’s life was changed significantly when the ER physician stated that it was either an infection or cancer. Things began moving very quickly for the Goldminz family as they received the news no one ever wants to hear — Zachary, a student at Levine Academy, was diagnosed with Ewing’s Sarcoma. It is a children’s cancer and he had a tumor behind his right knee. Since August, Zachary has completed nine months of chemotherapy. Additionally, he underwent limb-sparing surgery with the surgical replacement of a Stanmore knee implant. It was performed at Texas Children’s Hospital in Houston by Dr. Rex Marco and his amazing team of professionals. Besides the tremendous support from family and friends, the family was so lucky to meet Carol and David Basso, who founded the 1 Million 4 Anna Foundation in memory of their daughter, Anna, who lost her battle with Ewing’s Sarcoma at age 16. The Bassos have made it their mission to raise funds specifically dedicated to Ewing’s Sarcoma research. Zachary’s paternal grandfather, “Pop” Mitch Goldminz, is a talented artist and published author. He is well-known for his featured heart paintings and contemporary art highlighting cats, New York City buildings and much more, using primarily acrylics on glass. His art hangs in homes and offices across the U.S. and he has held art shows in New York, Las Vegas, Florida and Mexico. His art has received wide acclaim. He has written two books, which will be on display. Over 12,000 copies were sold and Mitch donates his books to the troops in Afghanistan and Iraq and veterans centers of North Texas-VA Hospitals. From 11 a.m. to 4 p.m., Saturday, June 23, Mitch’s work will be for sale at B & B Consignment, 2885 Promenade, the northeast corner of Coit and Arapaho roads in Richardson. Twenty-five percent of all sales of Mitch G. paintings will go to the 1 Million 4 Anna Foundation for research of Ewing’s Sarcoma Children’s Cancer. In addition, everyone will receive a patriotic antenna ball free for coming. Mitch will be on hand to sign books. There will be raffle tickets sold for a 14” x 11” 2005 signed, unframed piece of art. Mitch has more than 300 pieces of art to choose from. 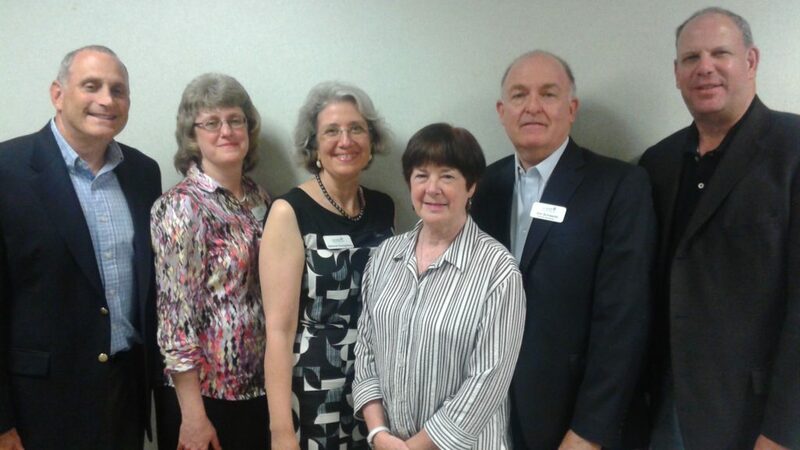 The Dallas Jewish Historical Society, celebrating 45 years this year, recently inducted its new officers and board for the 2016-2017 fiscal year at its annual meeting, held June 9. New executive board members include Stuart Rosenfield, president; Scott Cytron, first vice president; Deborah Konigsberg, second vice president; Jo Reingold, secretary; Liz Liener, parliamentarian; and Jim Schwartz, treasurer and immediate past president. New board members include Mike Weinberg, Matt Davis, Marla Janco, Laurie Betesh, and Shani Romick. Returning board members include Neil Goldberg, Pauline Graivier, Marilyn Pailet, Cliff Friedman, May Sebel, Marc Andres, Michael Cohen, David Golman, Brett Lazarus, Lori Ordiway, Matt Prescott, and Ellen Ungerman. The annual meeting program included Dr. Bryan Edward Stone, professor of history at Del Mar College, Corpus Christi, who discussed his most recent publication, Memories of Two Generations: A Yiddish Life in Russia and Texas. Memories of Two Generations is the autobiography of Alexander Gurwitz — an Orthodox Jew, kosher butcher, Hebrew teacher, and Talmudist — who immigrated to San Antonio in 1910 at the age of 51, with his wife and four children. Gurwitz came to Texas with the Galveston Immigration Movement. On July Fourth, we proudly celebrated our nation’s birthday, a day set aside to take pride in our country, rejoicing in the freedoms, rights and opportunities we all enjoy as American citizens, no matter who we are and what our station in life may be. Not so. There are groups of Americans who historically have been mistreated in the past and some continue to suffer in various degrees as a result of a legacy of hate. Native Americans, 200 years after losing their ancestral lands to disease, violence and the European and American land grabs, still suffer extreme poverty, alcoholism, family violence and hate crimes living on mostly barren reservation land. Relocation programs in the 1960s attracted many younger Native Americans from reservations and into urban centers for training, jobs, and health care. Approximately 50,000 Native Americans now live in the Dallas-Fort Worth area, generally working at lower-paying jobs. While living conditions off the reservation may be an improvement, most live at or near the poverty level and still experience discrimination and violence. According to the FBI, Native Americans have the second highest rate of race-based hate crimes. Except for the Native Americans, no group of United States citizens has suffered more than have black Americans, who began life in America as slaves. Among racial groups, blacks experience the most hate crimes and are more than five times as likely to be victims of hate crimes than any other racial group. The Anti-Defamation League reported 941 anti-Semitic incidents in the U.S. in 2015. While this is a slight increase over 2014, there has been a general decline since the high of 1,554 in 2006. Disturbing, however, is the fact that the number of violent assaults against Jews reached 56, up from 36 in 2014, and 90 incidents of anti-Semitism were reported from 60 college campuses, compared to 47 on 43 campuses in 2014. Hate crimes against the lesbian, gay, bisexual and transgender have been on the rise leading up to the recent tragic massacre in Orlando, Florida. While hate crime figures often differ slightly from one agency to another, the fact that many hate crimes go unreported shows that the actual number of hate crimes is larger than statistics indicate. Also, these stats do not include the foul hatred expressed by many on the Internet. What can we do to help make things right? Let’s not be afraid to bring these issues up for discussion: in our homes, in our schools, in our synagogues and temples. Most importantly, we as individuals must speak up and confront the ignorance when we hear it, the injustice when we see it, and the lies when we read them. Each of us is part of the solution.